Along the history of polar exploration and whale hunting, Inuit people have been taken away from their birth places by their far "neighbours". Whalers, alike, exploring expeditions abducted Inuit hunters, and also women and children, sometimes purposedly by force, and sometimes kindly when rescuing them, during their homeward trip, from the sea when they had got lost fram from the coast. This, is the first chapter of a series of cases I wanted to analyse in my blog. "Their meetings always ended in the murder or capture of the poor natives, who were carried away to be shown as curious animals in Europe. La Peyrere's Report of Greenland, written in 1647, describes them, and goes on to tell of the nine Eskimos who had been brought to Denmark by different Polar expeditions. Poor Eskimos ! They often looked northwards, and once tried to escape in their skiffs ; but a storm cast them ashore, and some peasants caught them and took them back to Copenhagen. Two of them again tried to escape in their kayaks ; one was caught, the other who got away was drowned at sea. The last of them died of grief after the failure of his third attempt to return to Greenland in his kayak. He was thirty or forty miles out to sea before he was overtaken." And this, unfortunately, is a tale which is repeated along the time invariably, there usually weren´t survivors, as we soon will see. Inuit people who arrived to Europe, hardly ever got used to the insane atmosphere of the British cities, their local illnesses, or maybe, they just couldn´t stand the very different diet they were obliged to follow. Maybe the most well documented of these events, and likely one of the first, is the case of Calichoughe (or Kalicho), a woman called Ignorth (or Egnock), and her child, Nutaaq (or Nutioc)., who were got caught prisoners in 1577 by Martin Frobisher. It has inspired some articles and the story appears here and there everywhere and it is not the main subject of this post. 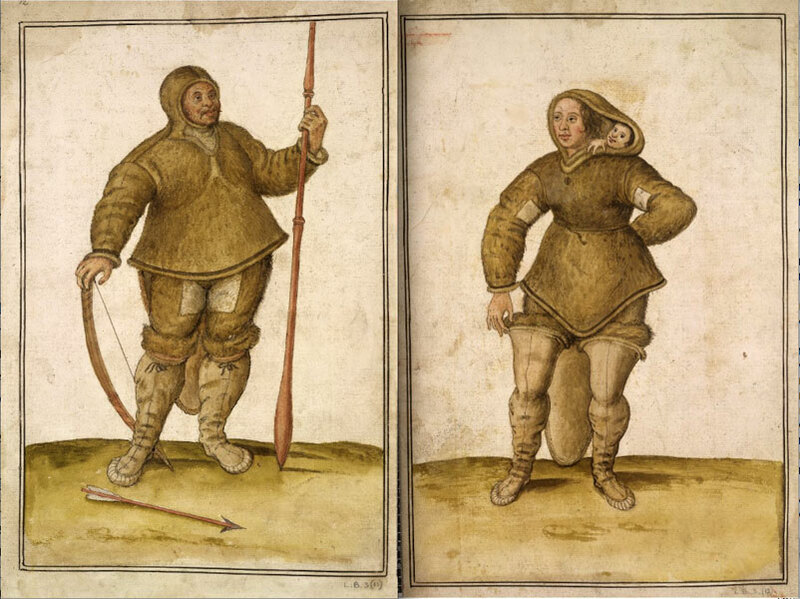 The three Inuit people where nicely portrayed by talented artists of the time, like John White or Cornelis Ketel, author of several paintings (some of them in their Inuit clothes, other dressing like Englishmen and others naked, and which apparently haven´t survived). The existing portraits by John White are held in the British Museum. The sixteenth century sailor and pirate, Martin Frobisher, led three expeditions to the Arctic, his first intention was to find the mythical Northwest passage, but after stumbling upon Baffin island and with the deep bay which nowadays bears his name, he subsequently focus his attention on those shores and forgot the searching of the passage on behalf of exploiding the imaginary treasures he thought Frobisher bay hide. It was during those expeditions when he contacted local Inuit tribes which lived there. His first contact, was during the 1576 expedition to Baffin´s bay, when inside Frobisher´s bay, in Burche´s island, he found some Inuit men who were asked to guide the expedition, Frobisher sent five men in a boat to deal with them but they apparently were caught captives. Then, in his turn, Frobisher captured one Inuit man as a hostage. This man was taken to England and reached London, where he soon died. As it is said in the article "Frobisher Eskimo´s in England" of "colde which he had taken at sea" hardly three weeks after landing. He was portrayed post mortem by Cornelius Ketel (I couldn´t find this particular one cause it also is part of the Ketel´s lost collection of Eskimo paintings). His body was embalmed, apparently with the idea of sending back him to his country and a wax face mask was also allegedly made. 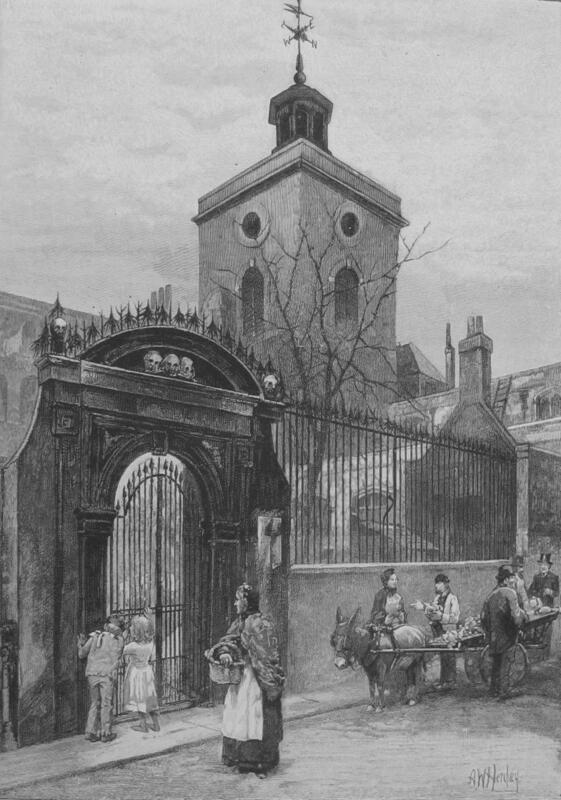 His body never reached Baffin island but was buried in St. Olave's churchyard, behind its sinister door which is decored with three smiling skulls, in Hart street, London. This particular church, it is a survivor itself, an ancient rarety which survived the great fire of 1666 and the war bombings of 1941. It has been sieged by tall buildings and busy roads since it was built many centuries ago. But now, who knows what´s left of the old churchard and if the bodies of this poor man and Nutaaq (who as we read above, was also buried here) are still there and there weren´t forcedly and violently exhumed because of the german bombs dropped during the WWII. There are no records of these two burials nor gravestone which indicate their bones are still there. "Collichang a heathen man buried the 8th of November. Egnock a heathen woman buried the 13th of November'''. It is difficult to have a clear reading of what was engraved in that gravestone, but at least we can clearly see the word "Kidnapped" on it, which seems to pay somehow the debt or at least, a last tribute, with these two people, as a sort of recognition that wanted to show to any casual visitor, that the facts which brought them to England and to such premature death, were not gallant at all. On the other hand, if the stone is contemporary of the burials, the word Inuit or Inuk, I have believed to have read, wouldn´t have sense since the used term by that time was Eskimo. Maybe some good hearted soul decided to place this stone much later. Anyway, I would love that someone on the ground in the surroundings of Bristol could forward me a better image of this gravestone. "Was it chosen for the Eskimos because its dedicatee, the Norseman Olaf Haraldsson who was converted to Christianity in the eleventh century, was thought to be suitable numen to preside over their pagan arctic bones? The speculation is intriguing. " For whatever reason, nowadays, we do not see any single mention of these three poor souls in almost any reference we find about both churches, St Stephen´s in Bristol and St Olave´s in London. 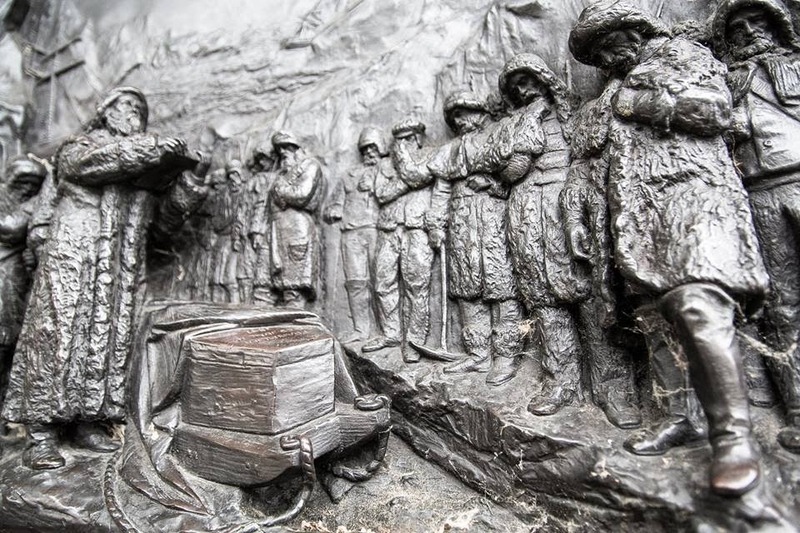 There aren´t memorials, plaques nor anything which substantially give notice that an injustice was commited and that the silent victims of it, still are resting there. Maybe the reason simply lies in the fact that too much time has elapsed since they were buried there and all this happened and nobody cares. Maybe they have just been forgotten and the only redoubt which calls our attention about their final resting places is the link to st Stephen´s church gravestone before posted and those articles which talk about Frobisher´s crazy gold crusade which occassionaly talk about their graves. They may not be recorded properly in their actual burial places but in its place, till something to mend this situation is done, I will homage them pinpointing their graves in my Polar memorials location file with the hope of any visitor of that inventory, pay someday a respectful visit to those churches to think about them, and who knows, maybe also to find and mark their graves as they actually deserve. Names are known only to God. Beautiful words,Solomon, maybe the proper ones to be engraved in a future memorial or plaque.